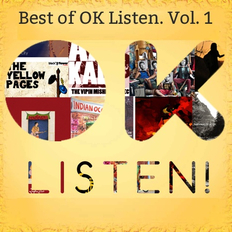 Indo Gypsies | OK Listen! Indo Gypsies, hailing from Mumbai, is a Folk/Fusion/World Music band. They seamlessly blend Folk music with a myriad of genres ranging from New Age, Western as well as Indian Classical. This exceptional quality managed to win them the Nation wide contest “India Fest Channel [V] Launch Pad 2013”. These folk appeal to a wide range of audiences across the country, captivating everyone with their engrossing music and colorful, vibrant attires rooted in Indian culture. They have performed an opening act for the Band Indian Ocean at prestigious Shanmukhanada Hall and were awarded as 'Tata Docomo Superstar Of The Year' for the same. They have also performed for many renowned Music Festivals. Their songs have been aired on various Radio channels, nationally and internationally too. 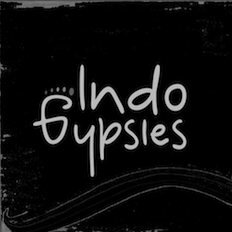 Indo Gypsies were nominated for Radio City Freedom Awards and were featured in the Top Indian Folk/Fusion Artists by Planet Radio City 91.1 FM. Their documentary was telecast on the TV Channel City First in the show ‘Beat Street’. They have played for many NGOs and were honored to receive 'Responsible Youth Talent' Award by Rotaract Club for their song "I'm Sending India To School" for a social cause. They were also honored to receive ‘2013 Vocational Excellence Award’ by Rotary Club for their Achievements.